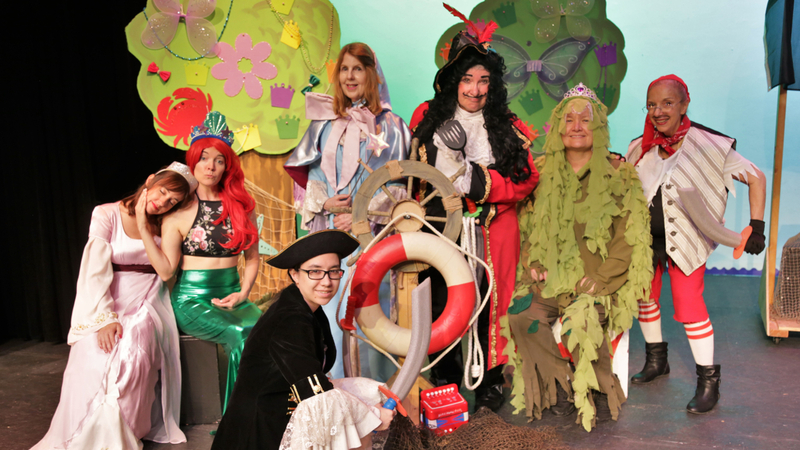 Palatine Park District’s Family Friendly Theatre program will present “Princesses vs. Pirates and the Switcheroo Crew,” a new original production at Cutting Hall Performing Arts Center, 150 E. Wood Street, on Monday, June 18 at 10:30am. Written by local playwright Eileen Mitchell, this 60-minute production will offer a little something for everyone. The Princesses and the Pirates discover something fishy going on between Enchanted Isle and Castaway Cove. The Pirates’ booty is mysteriously being plundered just as the Princesses’ prized possessions start to disappear. Each group blames the other as a royal battle begins to brew. Who is responsible for the missing treasures? All hands on deck are needed to help solve this quirky case. The Family Friendly Theatre program offers a convenient, local option for introducing children to the theatrical experience on days off school. These 60-minute performances are ideal for children in grades K-8. The Family Friendly Theatre troupe is also available to travel for performances in school theatres, cafeterias, or gymnasiums. In addition to June 18, there will be an encore performance on Monday, June 25 at 10:30am. Tickets are $6.00 for ages three and up with a special discount of $5.00 per ticket for groups 10 or more. Children two years and under will be admitted for free. All attendees require a ticket, including toddlers and infants. To purchase tickets online, visit cuttinghall.org. Tickets are also available to purchase at the Cutting Hall Box Office Wednesday – Saturday from 3:00pm-6:00pm. “Princesses vs. Pirates and the Switcheroo Crew” is supported by the 2018 Family Friendly Theatre presenting sponsor, Andigo Credit Union. For more information about Family Friendly Theatre or to book a private group performance, contact Cultural Arts Coordinator Ashley Schiavone at 847.496.6237 or aschiavone@palatineparks.org.